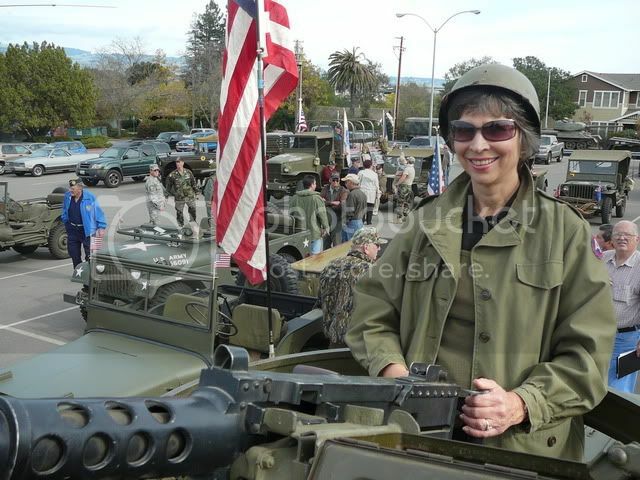 Military Vehicle Collectors of California Club Forum. 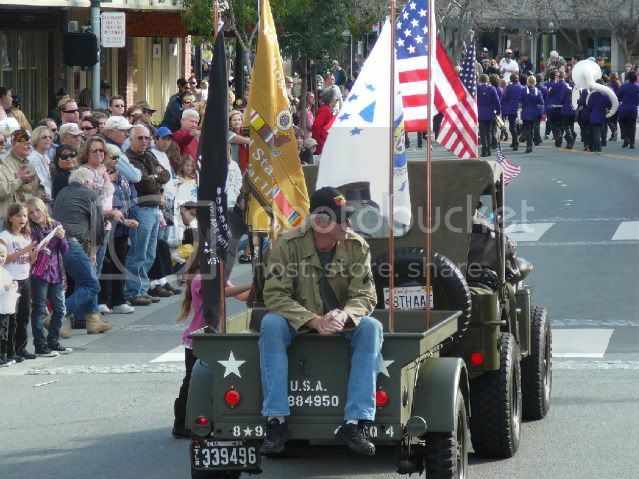 Petaluma Veteran’s Day Parade 11/11 is the biggest in the North State. Maybe beyond. 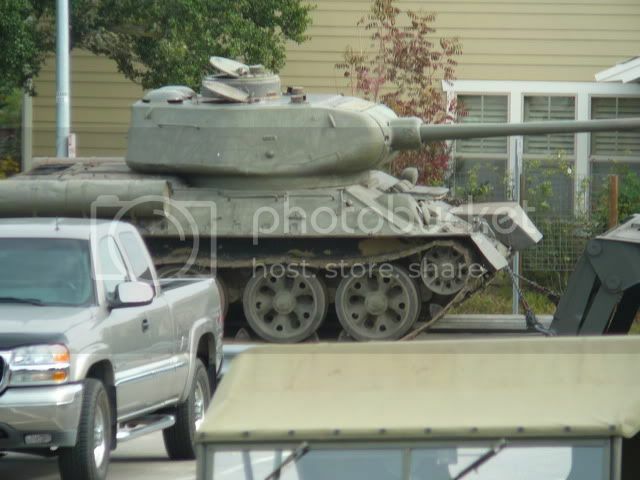 Over 45 MVs expected including armor. Pre-stage by 1100 at Veteran’s Memorial Hall at 1094 Petaluma Blvd. South - the rear parking lot. Road march at 1200 to staging area south of Walnut Park. Pick up vets if you can. Parade 1300. Casual MV displays after parade during commemorations at Walnut Park, and/or retreat to Veteran’s Hall for hot dogs with the vets. Bar will be open. Special Korean War veteran's symposium is planned. "Go ahead, make my parade!" 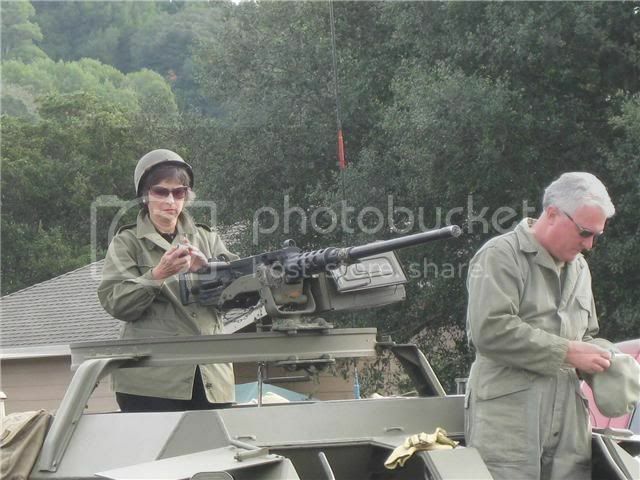 Jim Neider, one of the key North Bay MV event organizers, looks on as Marilynn N. prepares to honor veterans. What are YOU doing November 11? Chuck Lutz gave up a shotgun seat halfway through this parade for another vet. Way to go Chuck! Consider attending the display in the town of Sonoma on Saturday and camping at the KOA per our special MVer discount described on the other thread, then doing the parade on Sunday. Wow, digging deep in the archives aren't you Ben? 2012 info applies to 2018 except Jim Neider passed away last May. Michael France is still a good contact for this great parade. An all day thing for some, with all the tire kicking and socializing, and the social back at the Vets Hall after. Note: I have not any grayer. Or is it greyer? Chuck in action is rare, who could forget. Looks a great gathering Joel, we have similar here in the U.K. We must remember them ALL. Does'nt get any better than that, Chuck. There's nothing like enjoying a parade from inside a Jeep. That was my view from the M20 drivers seat. Not a better person to be riding in a 1/4 ton trailer, since that is Chuck's big "thing." Chuck of course is a USN vet and justly deserves to be in a position of honor at a Veteran's Day Parade. 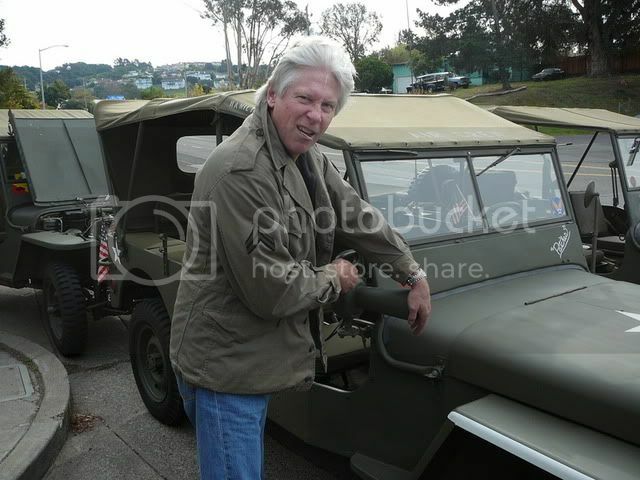 That he has driven his jeep carrying other vets is a tribute to who he is. Ditto other MVers in the North Bay Area. My guess is it relates to his background with PA systems and rock concerts in the 1970s, but not sure. That is Matt's Air Raid siren and if you alternate a clockwise/counter-clockwise rotation of a few inches just right, it sounds like a 350 lb frog croaking or a goose honking and drives dogs within hearing range nuts. Small children are drawn to it and adults break out laughing, the perfect pre/post parade noise maker! 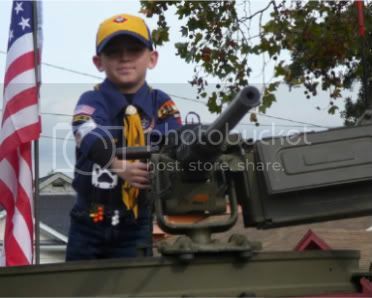 Oh yeah, in that 3rd pic my nephew found my jeep horn button and was "meep meeping" it during the parade. Well those of us who gather at the annual April meet are used to those kinds of sounds coming from your end of Tower Park. Not sure if they are from the siren however. Maybe this will repeat at Camp Plymouth 2019 wherever the Odd Squad chooses to camp. People interested in vintage audio radiance, whether from equipment or vintage people, should come to the big Petaluma parade where both will be on display to the senses. Reminder that this was an OLD thread that was brought back to life by Ben Dover. The stuff about Chuck is fun but it's also a reminder about the big parade on 11/11/18 in Petaluma. My guess is 48 MVs will show up! Unload and pre-stage at the back parking lot of the Veteran's Memorial Auditorium at 1094 Petaluma Blvd South. MVers show up early for tire kicking prior to pulling out by noon for the 1 pm parade starting officially at Walnut Park. 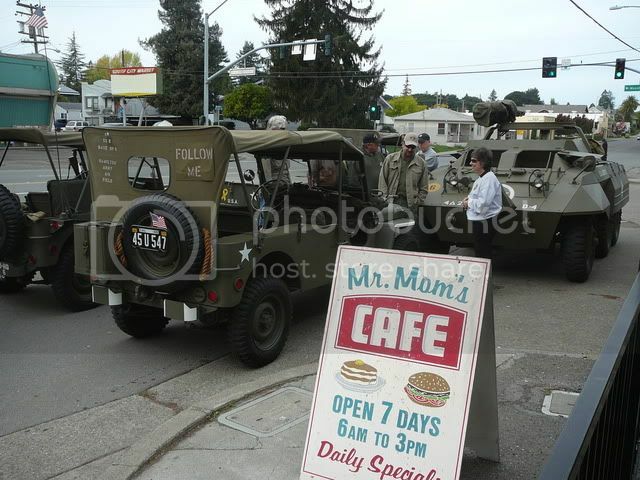 Usually WWII vehicles lead followed by '50s, '60s, etc. Small ones side by side and big ones single in the lane. Vets will be around, offer one a ride if you have room? After the parade fall out to see the presentations at Walnut Park or go back to the Vet's building for hot dog lunch. Bar will be open. Great event.